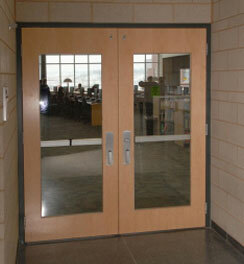 Please click here for a copy of our Steelcraft Hollow Metal Doors and Frame catalog. 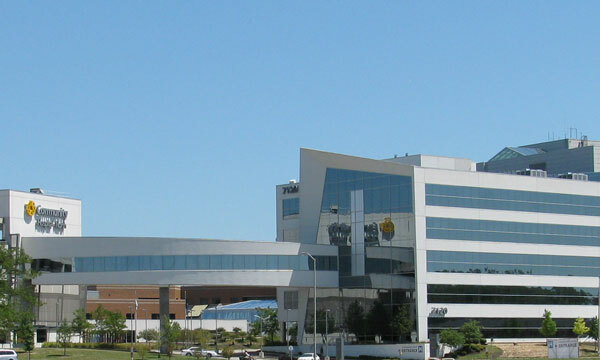 Dealers Wholesale meets the COMMERCIAL contractor's need for quality products, service, and complete installation on commercial doors, frames, and hardware. 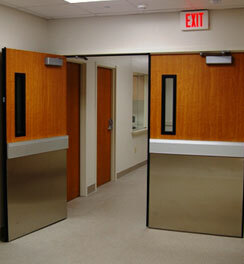 Click on the following links to learn about our Commercial Wood Doors and Ready Frame Steel Frames. 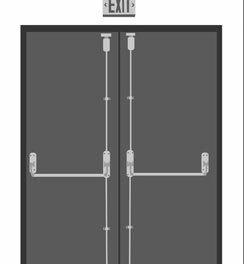 Our products include Steelcraft® hollow metal steel doors and hollow metal steel frames, Marshfield architectural wood doors, IR (Ingersoll Rand Security), and Yale commercial grade hardware. Dealers Wholesale is an authorized UL (Underwriter’s Laboratory) and Warnock Hershey door and frame assembly distributor. We are the largest installing door, frame, and hardware distributor and one of the largest pre-hanging door companies in the area with over 3 decades of door experience in the Indianapolis area. We are capable of pre hanging hollow metal, metal clad steel, fiberglass, hollow core wood, solid core wood, and style and rail wood doors. We have in stock a wide range of doors and frame components including sidelights and transoms. Dealers Wholesale has a complete inventory of commercial products, backed by a qualified Locksmith Staff enables Dealers to give the best service on all of your hardware needs. With a combination of 290 years in the hardware business, Dealers Wholesale is knowledgeable and will work hard to have a "Satisfied Customer” With this philosophy Dealers Wholesale will continue to be prosperous and grow in market share by maintaining a fine reputation in the building industry. Just give us a phone call on our toll free telephone number or a hit on our website and see our reaction. I know that you will be impressed with our quick and thorough response. You can also learn more from the various brochures listed below.